Former Hewlett-Packard CEO and GOP candidate Carly Fiorina endorsed Texas Sen. Ted Cruz for the Republican presidential nomination Wednesday. The businesswoman-turned-politician spoke out in support of Cruz during a rally at Miami Dade College in Florida. She revealed that she had voted for him last Tuesday in the Virginia primary. 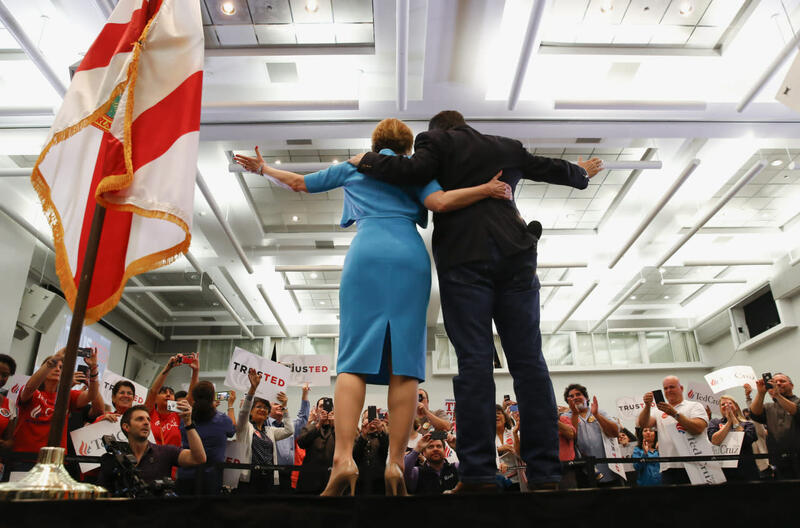 Fiorina praised Cruz as a leader and reformer who would take on the Washington establishment, and she characterized the frontrunners in each party — businessman Donald Trump and former Secretary of State Hillary Clinton — as beholden to the status quo. The former presidential candidate said Clinton has made millions of dollars by selling access and influence from the inside and that Trump has made billions of dollars buying people like her. “We’re going to have to beat Donald Trump at the ballot box, and the only guy who can beat Donald Trump is Ted Cruz,” she said. Fiorina applauded Cruz’s consistency on the issues, saying he’s always been a “constitutional conservative” who didn’t care if he would get “invited to the cocktail parties” in Washington. 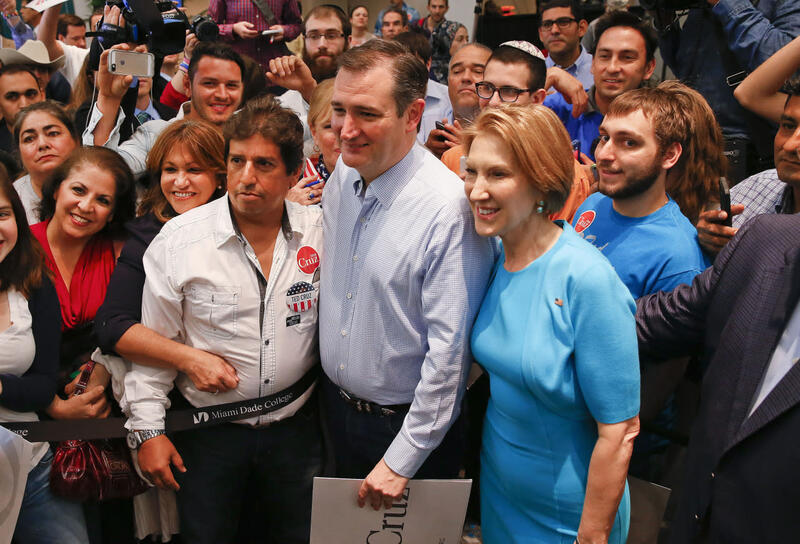 Cruz praised Fiorina as a principled leader and a woman of faith whose voice strengthens his campaign. In early February, Cruz criticized Disney’s ABC and the Republican National Committee for cutting Fiorina from a debate in New Hampshire ahead of the state’s primary. She was the only major candidate still in the race at the time who was not invited to participate, even though she outperformed Ohio Gov. John Kasich and New Jersey Gov. Chris Christie in the Iowa caucuses. Despite strong debate performances, Fiorina struggled to gain traction for her White House bid in the then-overcrowded GOP field. She suspended her campaign on Feb. 10 after a disappointing finish in New Hampshire.